On American Thanksgiving last week, a number of leading British intellectuals gathered under the aegis of the Tate Britain to discuss a different sort of historical legacy to which contemporary culture is indebted, if ambiguously grateful for. Two months after the Tate Modern’s centenary Futurist exhibition, Terry Eagleton, Simon Critchley, Kate Soper and Eyal Weizman considered postmodernism’s future, in the wake of Futurist poet F.T. Marinetti. Politely moderated by long-haired Goldsmiths lecturer Alberto Toscano, the panel discussion “Don’t Look Back: Radical thinkers and the arts since 1909,” didn’t aspire to the same riotous tenor as Marinetti’s debut lecture at the Lyceum Club in 1911, when the firecracker frontman sought to “hurl defiance at the stars.” Eagleton began by cautiously repudiating the talk’s title, quoting Trotsky: “We Marxists have always lived in tradition,” as well as Walter Benjamin’s backward-facing Angel of History. He then lamented last summer’s almost-collapse of capitalism as a missed opportunity to stoke revolution in the mire of postmodern status quo…. Radical Thinkers set 4 is available to buy individually from all good bookshops, or as a full set for a special discount price. 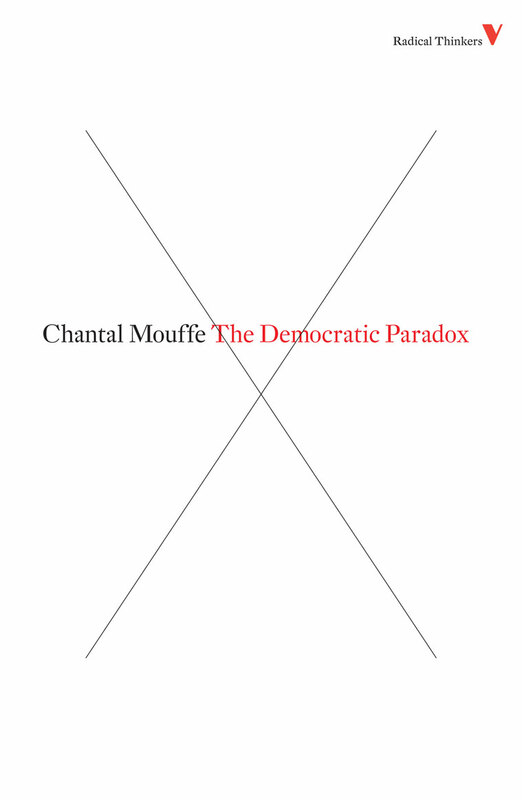 Chantal Mouffe’s The Democratic Paradox is published in the latest set of Verso’s Radical Thinkers series. Her other books include Return of the Political in Set 2, and Hegemony & Socialist Strategy: Towards a Radical Democratic Politics with Ernesto Laclau. Coping with the crisis of theory, with Radical Thinkers! How do we cope with the crisis of theory? As a way of transforming this formless disgust into educated critique, these books are a fine, cheap and decidedly elegant starting point.